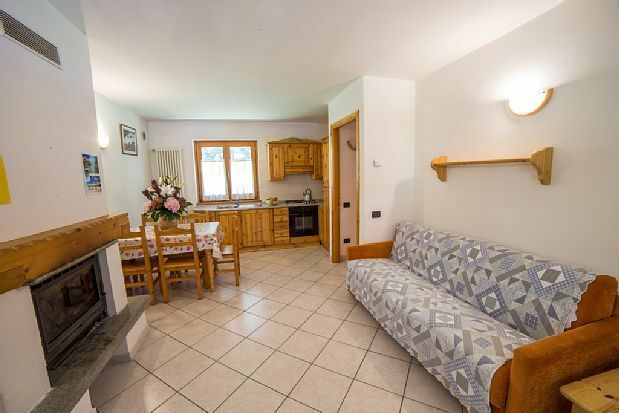 The apartment is around 40 meters squares for up to 5 people provided with living-room, kitchen, 1 bedroom, 1 bathroom and private underground parking place and cellar ski-box. There is a private balcony. The living room has a sofa, plus a dining table and chairs.